I was delighted to be in Waterford for the weekend and get the opportunity to visit O’Brien Chop House in Lismore for dinner. I had heard only good things about this restaurant and was really looking forward to visiting. You walk in the door to a gorgeous bar area and a lovely welcome! I love when a restaurant has an area where you can sit, chat and enjoy a pre-dinner drink and the Chop House bar area is one of the best. The bar area is beautifully restored and you could sit here for hours. We enjoyed a Rhubarb Bellini and it tasted like more! For starters, we decided to share the Charcuterie Plate which comprises a selection of the restaurant’s own cured meats. It is clear that the restuarant is extremely proud of the quality of its produce. The saddleback pigs are reared by the owners and the management and staff are passionate and knowledgeable about the produce, which tasted wonderful. 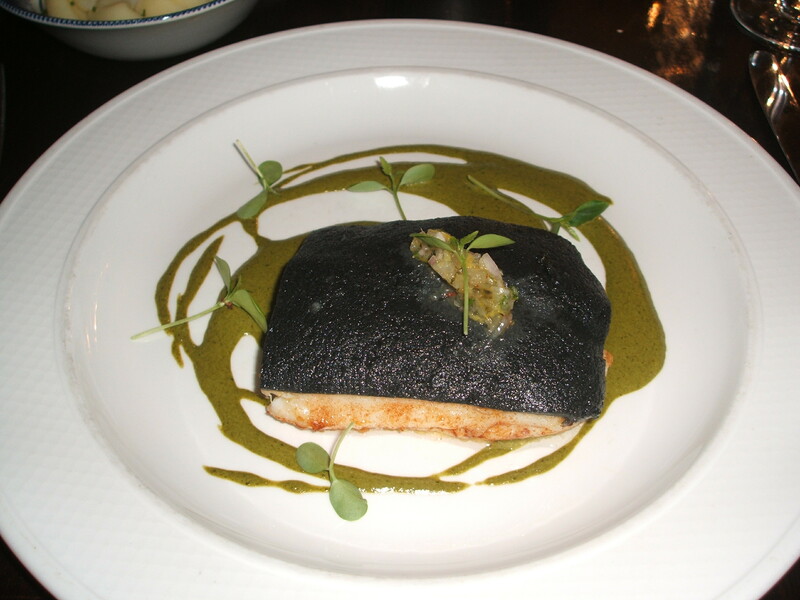 For mains, I chose the fish option of the day which was a fillet of Hake which came with a squid ink and sea vegetable crust and a green sauce. My friend chose the Duck. We were both delighted with our choices which were perfectly cooked. The mains were accompanied by seasonal vegetables and mashed potatoes – with some extra homemade chips for my friend, who isn’t overly fond of mash! We were seated at a lovely table which overlooked the kitchen. I love being able to see the chef at work – and he was particularly tested that night with a very large party of 26 arriving for dinner shortly after we did. We were very impressed at the ease with which the whole team dealt with this and everything seemed to run very smoothly. We had to take a little break before desserts, but it was worth it. I chose the Cooked Cream with rhubarb and my friend the Chocolate option. Both were really lovely. The meal was enjoyed with a lovely french Sauvignon Blanc (described as a mini sancerre) and it was a real winner aswell. Richard and his team at O’Brien Chop House run a wonderful establishment and we loved the friendliness of the welcome combined with the indepth knowledge of all of the dishes and produce used. The setting is beautiful too – a triumph on all fronts. P.S. I was so sad to hear that O’Brien’s Chop House, Lismore has since closed. It will be sorely missed. Not only was the food so good but the staff were so welcoming and the building in which it was housed was a true gem. I hear the head chef, Robbie Krawczyk, is now Head Chef at the fabulous Tankardstown House. 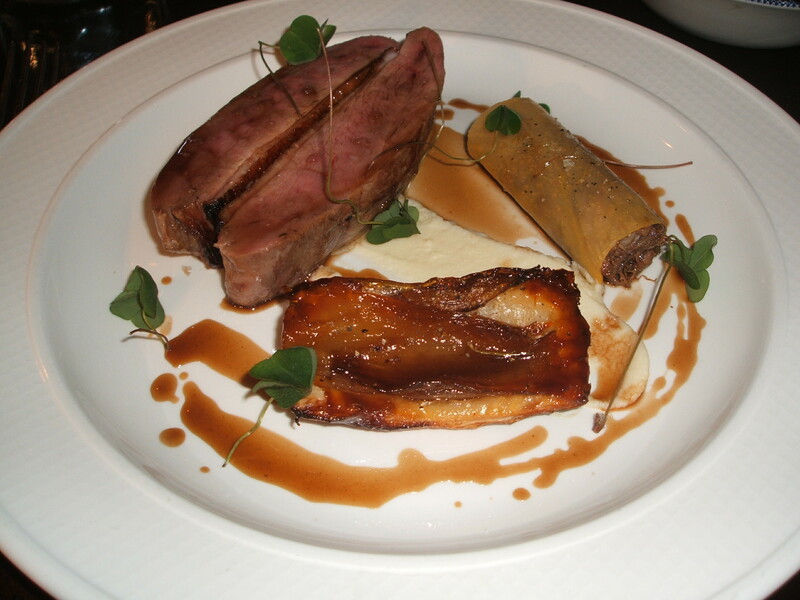 Thank you so much for dining at O’Brien Chop House and for sharing your review via your blog. I am delighted you enjoyed it. Please come and see us again soon.